Having a fast website has a lot of benefits. First off, visitors of the website will be happy to not have to deal with long load times for images, audio and videos. Second, it will improve your chances of getting placed higher on the Google search results because Google uses page load speed as a method of prioritizing search engine results. There are three ways that you can speed your site up, and the great thing is, you can use them all at once. The first way to speed your site up is to optimize you images, audio and video. What this means is reducing the quality as much as possible before the reduction becomes obvious. Many files could be reduced drastically without any noticeable visual or audible artifacts. Large files are often necessary for print or broadcast standards, but can be compressed pretty heavily for web with minimal side effects. The second way to speed up your website is by using a low latency storage solution such as Amazon S3. This service distributes your data over a range of servers in a specific region of the world. This allows for more data to be accessed at one time, which in-turn will speed up the visitor’s experience. The downfall of this service is that the servers need to all be in the same region of the world, making it slower for visitors that are not in the region. 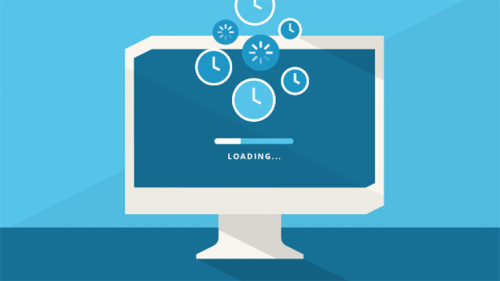 The third way to speed up your website is by using a CDN (Content Delivery Network). A CDN uses servers from all over the world that store your site’s content as cache. Once the data has been accessed in from a particular server, it stays there until it expires or is refreshed. This means data that less bandwidth will be traveling through your central server, and visitors will notice an increase in speed. The best way to speed up your site is by utilizing all three of these methods at once. Using Amazon S3 with a CDN to host your optimized web content will ensure a lightning fast visitor experience and save you money. Bryce Graven is from San Francisco, CA. He has a Bachelor’s degree in Mass Communication & Journalism with an Electronic Media Production option. He is well known in the Bay Area Music scene as a producer, engineer and vocalist. Bryce’s passion for computer-recorded music has lead him into the tech industry, web design, graphics, digital video and marketing.